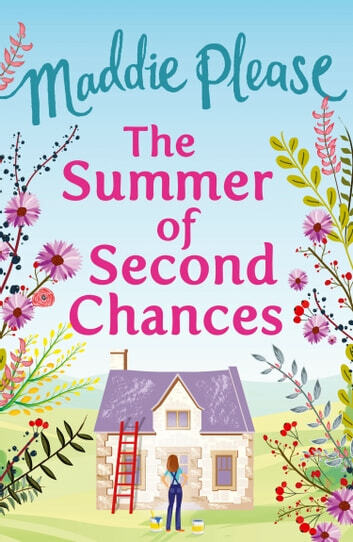 'The Summer of Second Chances is the perfect feelgood summer read.’ Chrissie Manby, author of What I Did On My Holidays Lottie is about to discover that even when you think you’ve lost everything, hope and romance can be just around the corner . . . It takes time to build your life. To get into a long-term (OK, a bit boring) relationship. To find a job (you don’t completely hate). Lottie might not be thrilled with the life she’s put together, but it’s the one she’s got. So when in the course of one terrible evening, it all comes crashing down around her, Lottie has a choice: give herself over to grief at being broke, single and completely lacking in prospects. Or, brick by brick, build herself a new life. And this time, with a little help from friends, a crumbling cottage in Devon and a handsome stranger, maybe she can make it the one she always wanted. 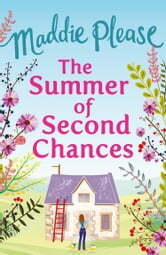 The Summer of Second Chances is an irresistibly funny read about never giving up, whatever the world throws at you. Perfect for fans of Jenny Colgan, Jane Costello and Christie Barlow. I did enjoy this book but it is not a memorable tale and the characters don't really stay with you either. It is a light, easy read perfect for the commute or when you need something to pass the time while soaking up the rays. Not the best start to a review - unless that is exactly what you are looking for. The character of Lottie is well drawn and you do feel like you know her - insecurities and contradictions and all. The author certainly wrote a realistic character with our leading lady but that is where realism crashes to a screeching halt. The supporting characters are more caricatures of people and never raise above the two dimensional and the plot is, well, cringy in places. You know exactly how it is going to go as soon as Lottie moves from her spacious home after the death of her partner and in to a friend's holiday cottage which just happens to make her neighbours with the estranged brother of said friend's husband. That's the other thing that annoyed me about this book. The character of Gregg - one minute he is a complete and utter boor and the next he is suddenly helpful and supportive. When living with her partner Lottie can't stomach the man but suffers him for her partner (I think he was called Ian but I can't be bothered to go back and check) and the business he could bring him, she also really likes his wife, Jess, and thinks they can become firm friends. When Lottie is cast on the scrap heap Jess does prove to be a good friend and suddenly Gregg becomes an almost wonderful man - the contradiction annoyed the heck out of me for some reason. The actual writing is paced well and although there are no surprises here or even a really believable plot I did enjoy reading it - hence 3 Stars. It was frothy and it did entertain me. The shorter length probably helped with that as well if I'm being honest.